Banten is the westernmost province on the island of Java, in Indonesia. Its provincial capital city is Serang. The province bordered West Java and the Special Capital Region of Jakarta to the east, the Java Sea to the north, the Indian Ocean to the south, and the Sunda Strait to the west, which separates Java and the neighbouring island of Sumatra. The population of Banten was officially estimated at 11,834,087 at the start of 2014, up from over 10.6 million during the 2010 census. 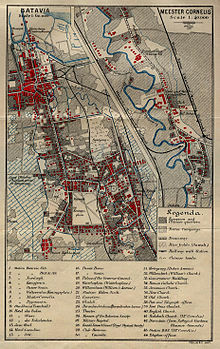 Formerly part of the province of West Java, Banten became a separate province in 2000. The province is a transit corridor to the neighbouring Indonesian island of Sumatra. Historically, it has had a culture distinct from the rest of Java and that of the broader Indonesian archipelago. In recent years, the northern half, particularly those areas near Jakarta and the Java Sea coast, have experienced rapid rises in population and urbanization, while the southern half, particularly that facing the Indian Ocean, maintains more of its traditional character. 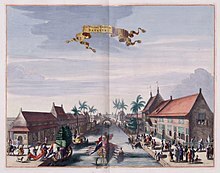 Jan Pieterszoon Coen was an officer of the Dutch East India Company in Indonesia (VOC) in the early seventeenth century, holding two terms as its Governor-General of the Dutch East Indies. 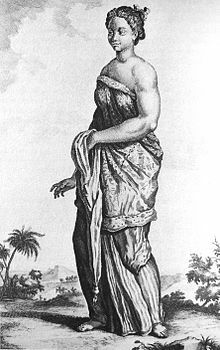 He was the founder of Batavia, the capital city of the Dutch East Indies. The Sultanate of Mataram was the last major independent Javanese kingdom on Java before the island was colonised by the Dutch. It was the dominant political force radiating from the interior Central Java from the late 16th century until the beginning of the 18th century. Gustaaf Willem, Baron van Imhoff was a Dutch colonial administrator for the Dutch East India Company (VOC). He served as Governor of Ceylon from 1736 to 1740 and as Governor-General of the Dutch East Indies from 1743 until his death in 1750 at Istana Cipanas. Tirtayasa (1631–1695), complete stylized name Sultan Ageng Tirtayasa, also known as Ageng and Abulfatah Agung, was the sultan of Banten during the kingdom's golden age. 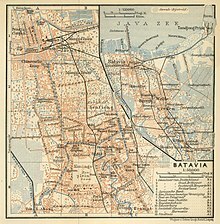 Siege of Batavia was a military campaign led by Sultan Agung of Mataram to capture the Dutch port-settlement of Batavia in Java. The first attempt was launched in 1628, and the second in 1629, both were unsuccessful. Jan Pieterszoon Coen, the Governor-General of the Dutch East Indies managed to repel the sieges and beat off all of Sultan Agung's attacks. Angke River is a 91.25 kilometres (56.70 mi) long river in Jakarta, Indonesia. The river flows from Bogor area of West Java, passing through the cities of Tangerang (Banten) and Jakarta into the Java Sea via the Cengkareng Drain. Batavia Castle was a fort located at the mouth of Ciliwung River in Jakarta. 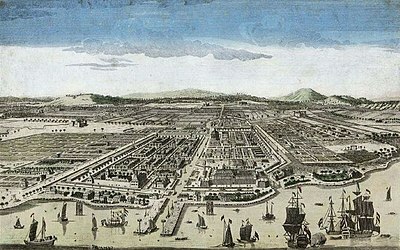 Batavia Castle was the administrative center of Dutch East India Company in Asia. 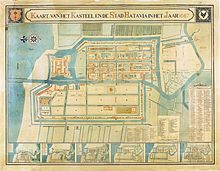 Batavia Castle was also the residence of the Governor-General, the highest VOC official in the East Indies who chaired the Council of the Indies, the executive committee that took the decisions in the East Indies.